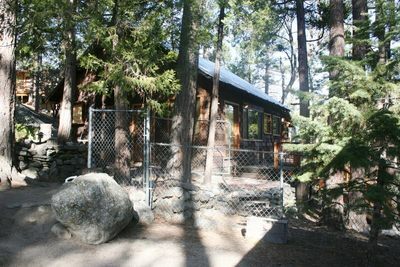 Alpine Chalet Cabin results should appear first in results list - if available. 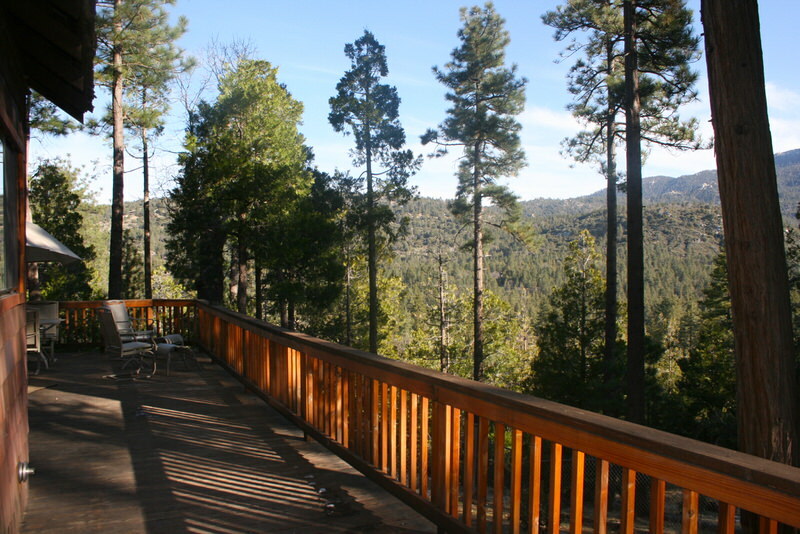 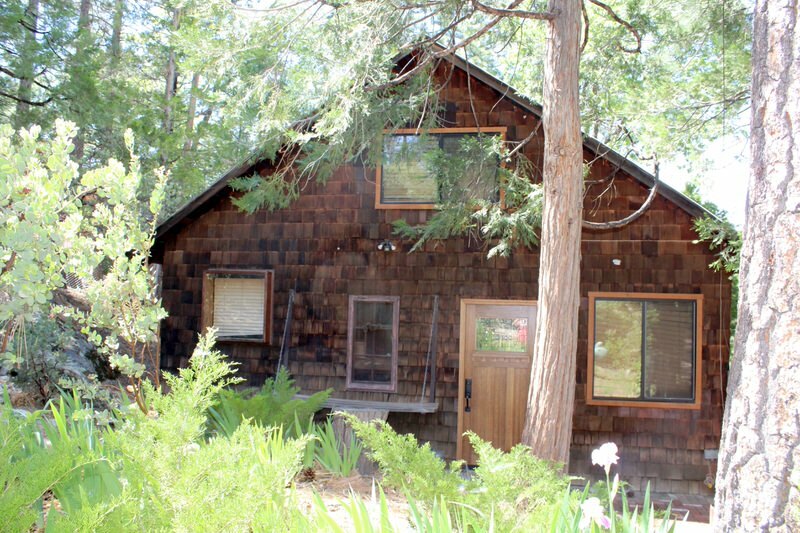 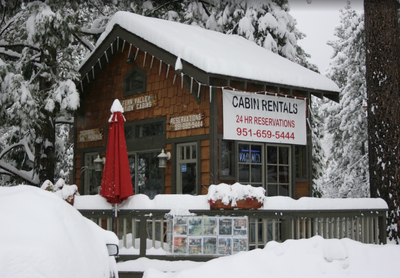 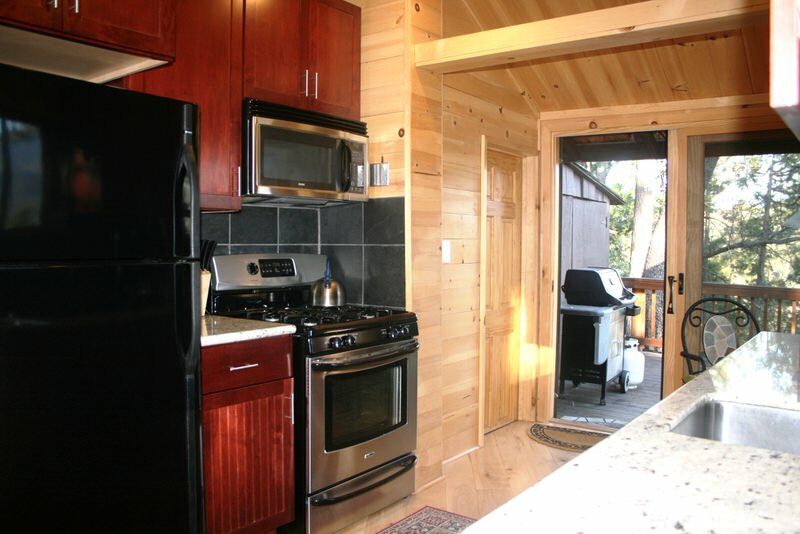 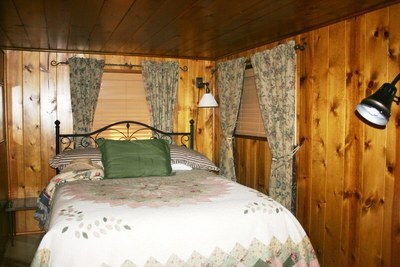 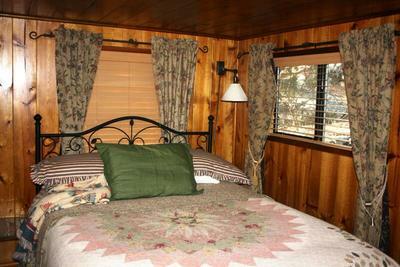 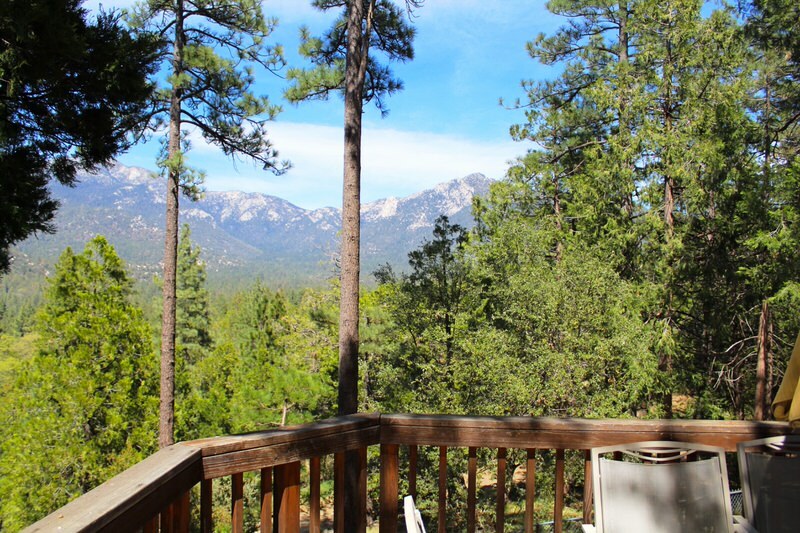 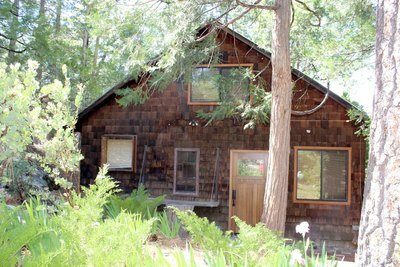 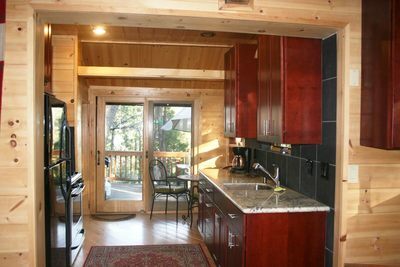 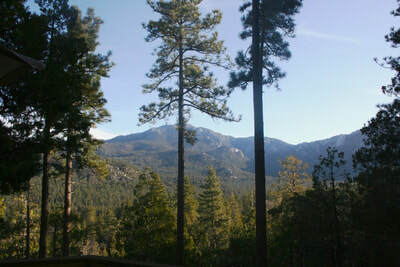 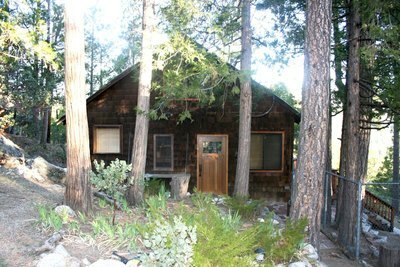 ​This upscale, private and charming chalet is both stylish and classic Idyllwild that has it all. Alpine Chalet sits on ½ acre on privacy, stunning stunning tall trees and a view of Lilly Rock and Marion Mountain that you waited your whole life to see. 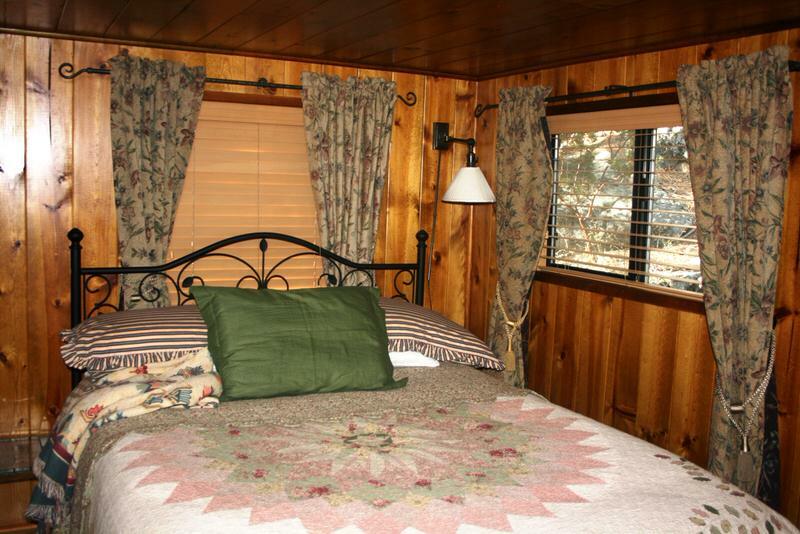 Relax in comfort in our brand new Catalina spa on the large redwood deck. Enjoy the view and give your-self the chance to rejuvenate. 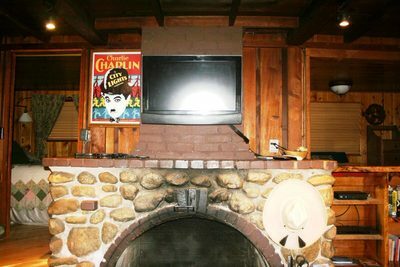 Read a book in front of the large river rock fireplace, or watch your large flat screen TV/VCR/DVD. 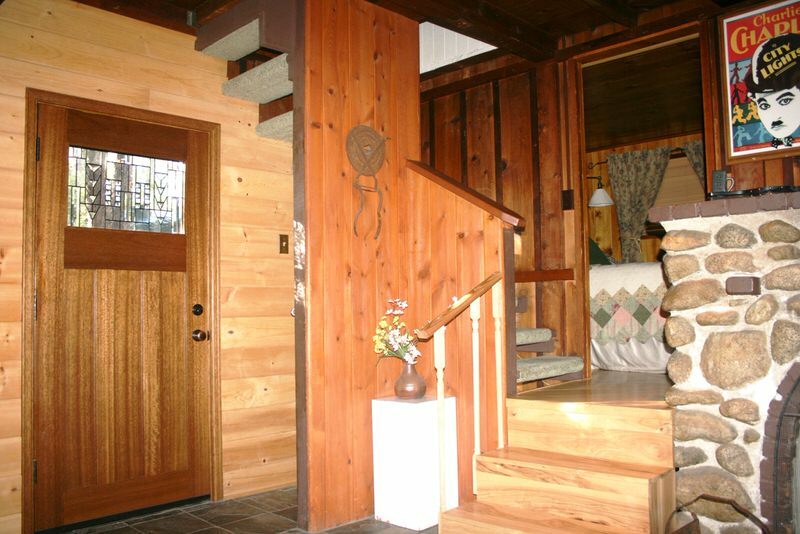 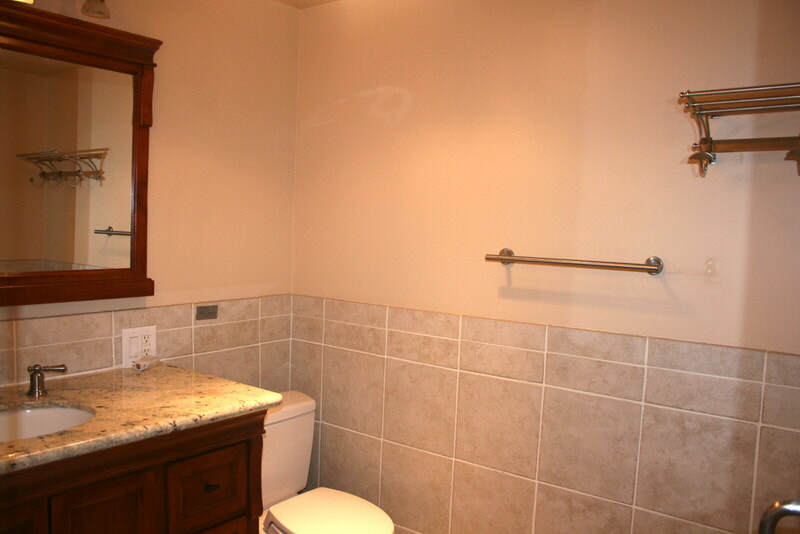 Alpine Chalet is beautifully appointed with hickory wood floors, a modern kitchen with granite countertops and tiled bathroom. 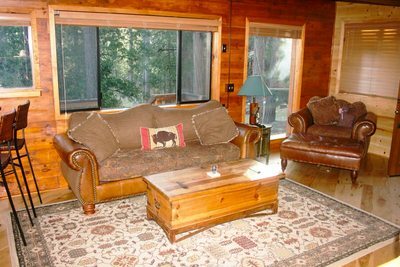 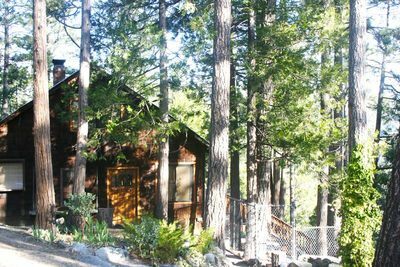 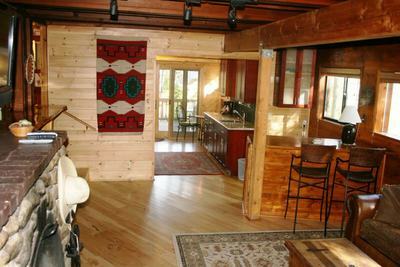 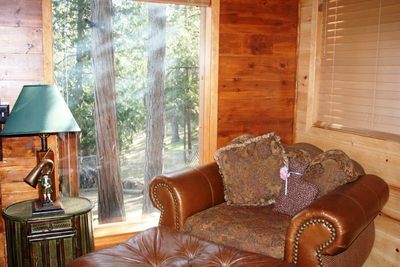 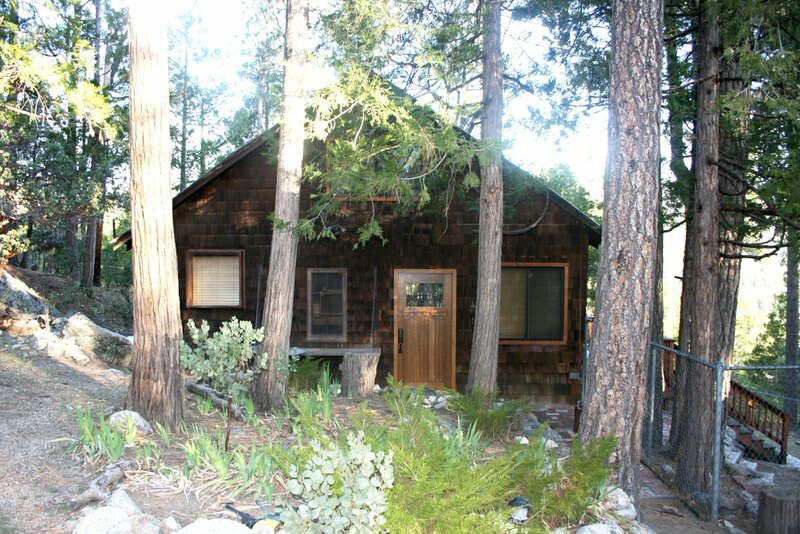 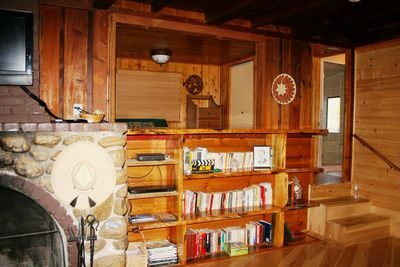 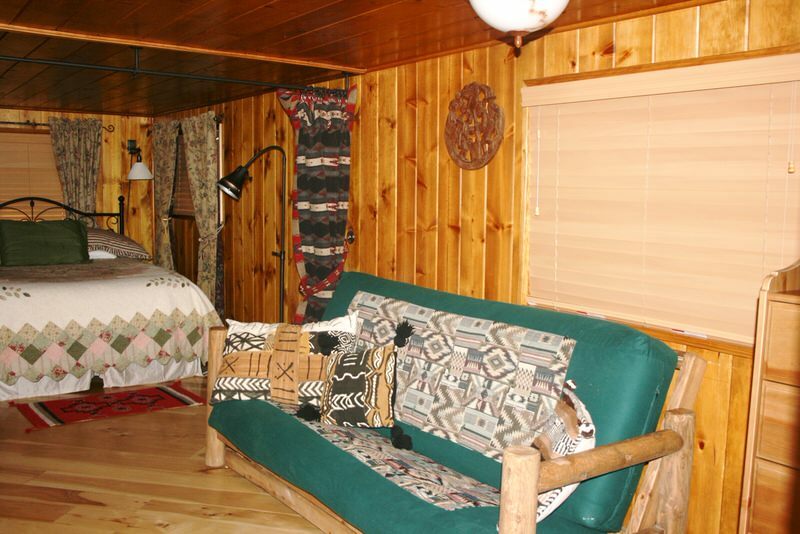 This truly is a Idyllwild classic cabin. 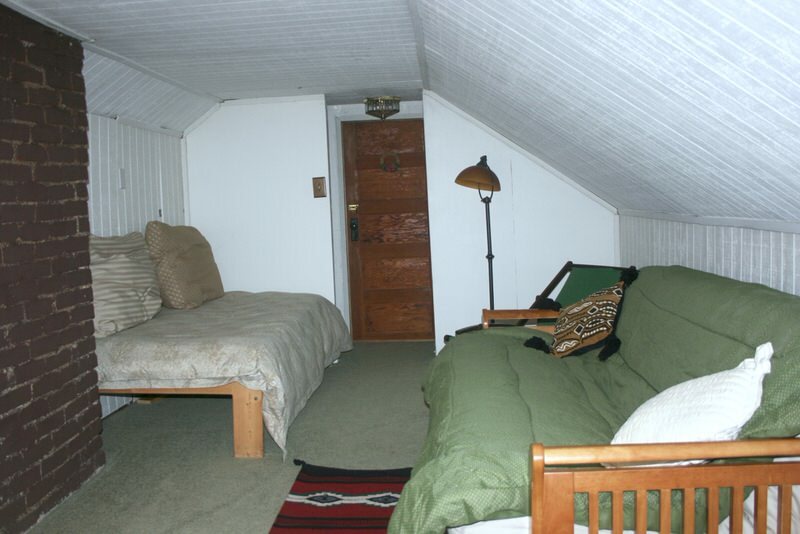 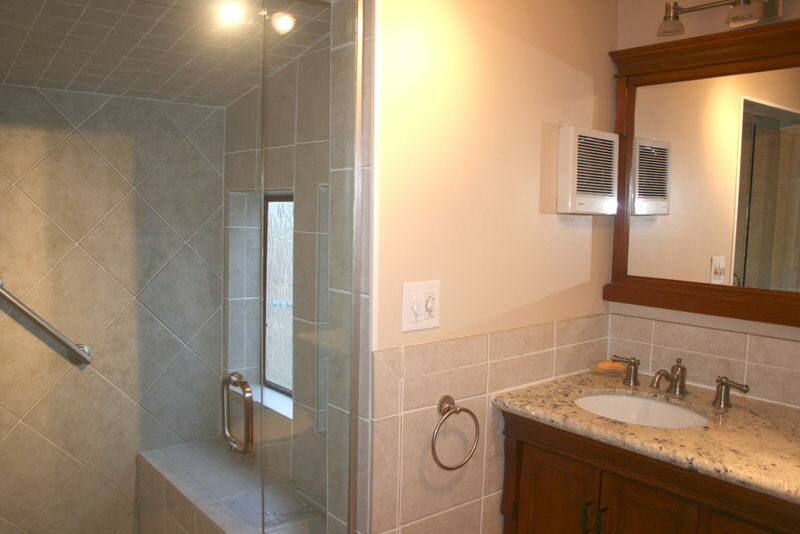 It offers a Queen bed in the Master Bedroom and an upstairs loft with Full/Double Futon and Twin/Single bed. And yes, Alpine Chalet is PET FRIENDLY.